These treatments can be done quickly, non-invasively and require no downtime meaning that they have all the benefit of great results but without the hefty price tag and length recovery process. This page will look at some of the most commonly requested laser treatments and how they can benefit your appearance. Photofacial is the term given to laser-based skin treatment that targets the face. It is primarily used to boost collagen, treat brown spots, reduce redness and minimize broken capillaries, although it can be used to treat a variety of dermal conditions. Your cosmetic surgeon will speak to you about your suitability for laser vein removal. Photofacials usually use IPL light which stands for intense-pulsed light. IPL light is delivered through a hand held device which blasts extraordinarily bright blasts of high energy light onto the skin. Although the process is non-invasive, it can be uncomfortable or even painful. Sometimes LED light is used in place of IPL light. LED photofacials are significantly cooler, painless and relaxing but the treatment is rarely as effective as that from an IPL light. There is virtually no downtime after a photofacial. If you have had an IPL light treatment then your skin may feel and look marginally sunburnt for a few days following the procedure. Your skin may peel slightly and you may notice the skin pigmentation darken temporarily. Once you have completed your treatment you should ensure that you wear facial sunblock every day to protect your new skin and maintain your results. Prominent veins can be unsightly and whether they are purple, blue , large or small they can seriously affect your self confidence. They are often associated with ageing and their appearance can be particularly hard on the self esteem of someone who feels much younger on the insider than they look on the outside. However, thanks to advances in laser treatment it is now possible to have non-invasive vein removal quickly and relatively painlessly. In laser vein removal, short bursts of light are emitted in order to break down the unwanted veins through a process known as photothermolysis. You may experience some minor discomfort, but generally laser treatment is considered safe and painless. Your cosmetic surgeon will speak to you about your suitability for laser vein removal. After the treatment you may experience some slight redness or swelling for a few days, but this will quickly fade. Let’s face it, hair removal is a time-consuming business and in particular for ladies for whom it is much less socially acceptable to be seen with unsightly hair in places deemed inappropriate to have on show. However, the arrival of laser hair removal has made it easier than ever to save time and effort in this area of our lives. Laser hair removal is relatively quick and painless. 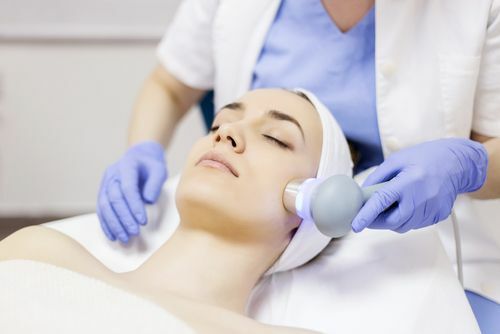 A hand held laser is placed against the skin and pulses of intense light are delivered into the hair, effectively killing it at the root so that it falls out. At the time of treatment some hairs are wiped away, but it can take several weeks for all of the hairs to fall out. Because laser only destroys hairs when they are in their growth phase, it can take multiple treatments to effectively deal with all the hair in any one area. However the exact number of session you will need will vary depending on your skin type, hair type, ethnicity, hormonal balance and skin sensitivity. Although there are many people who are proud of their scars, there are just as many people who feel self-conscious, anxious or depressed because of scarring that they have. Whether it is scarring from an accident, from injuries or disorders, acne or other natural skin blemishes, laser therapy has evolved to be able to minimize the appearance of scars, improving self esteem and confidence. Most scar repair laser treatment will involve an intense consultation with your cosmetic surgeon who will advise you how much treatment you will need to reach your desired goals and what overall outcome you can expect. During laser therapy in scar repair, the top layer of skin is treated with extremely hot blasts of intense light, stimulating the growth of healthy new skin. This dramatically reduces redness and the stimulation of collagen and elastin improves the overall appearance of the scar.